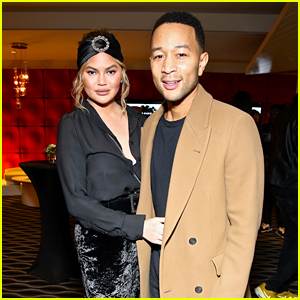 Chrissy Teigen and John Legend pose for a photo while attending the first L.A. screening of Jordan Peele‘s new horror film Us on Friday night (March 8) at the Pacific Design Center in West Hollywood, Calif. 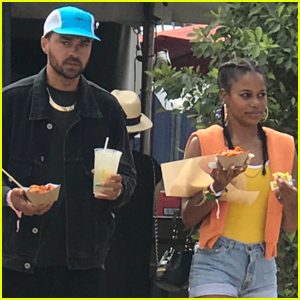 The couple was joined at the event by Lakeith Stanfield, Janelle Monae, and Black Panther director Ryan Coogler. Us had its premiere that evening at the SXSW Film Festival in Texas, where stars Lupita Nyong’o and Elisabeth Moss joined Peele for a Q&A after the screening. The movie is already being praised as a “horror masterpiece” and Peele is being compared to a modern-day Hitchcock. Wow! Kristen Stewart, Janelle Monae and Marion Cotillard strike a pose while attending the Chanel show as part of the Paris Fashion Week Womenswear Fall/Winter 2019/2020 on Tuesday (March 5) in Paris, France. The three ladies sat in the front row alongside fellow actresses Ashley Benson, Naomi Campbell, Monica Bellucci, Poppy Delevingne, Phoebe Tonkin, Ellie Bamber, Clemence Poesy and models Karen Elson, Lara Stone, Claudia Schiffer and Sasha Luss. The emotional show, which featured some of Karl Lagerfeld‘s last ever designs, saw models crying on the catwalk. The audience also observed a one-minute silence at the start of the show as a mark of respect, according to Harper’s Bazaar. Karl passed away in Paris last month at the age of 85. He held the title of creative director at Chanel – as well as at Fendi and his own eponymous label – up until his death. Amber Heard and Janelle Monae are picture perfect while striking a pose at the Giambattista Valli show as part of the Paris Fashion Week Womenswear Fall/Winter 2019/2020 on Monday (March 4) in Paris, France. 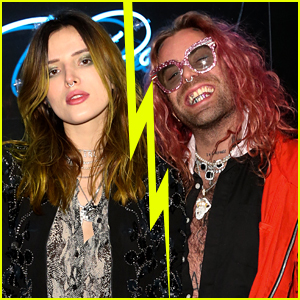 The 32-year-old Aquaman star and Janelle, 33, were joined by Sofia Carson, Nicky Hilton, Coco Rocha, Olivia Palermo, Harley Viera-Newton, Pixie Geldof, Chriselle Lim, Camila Coelho and British Vogue‘s Editor-in-Chief Edward Enninful as they all sat in the front row of the presentation. Earlier in the day, Janelle joined Oprah, Maisie Williams and Karlie Kloss at the Stella McCartney show. Amber‘s legal team is speaking out following the news of her ex Johnny Depp‘s $50 million defamation lawsuit – Read the statement here! 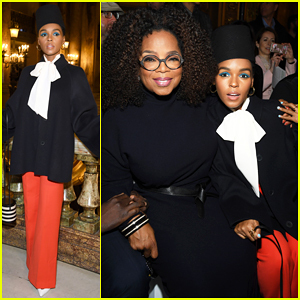 Oprah Winfrey is all smiles as she poses alongside Janelle Monae while attending the Stella McCartney show as part of the Paris Fashion Week Womenswear Fall/Winter 2019/2020 on Monday (March 4) in Paris, France. The legendary talk show host and Janelle, 33, were joined at the event by Maisie Williams, Karlie Kloss, British Vogue‘s Editor-in-Chief Edward Enninful, Sofia Carson, Doutzen Kroes, Alexa Chung, Clemence Poesy, Karen Elson, Tina Kunakey and Xenia Adonts. Also in attendance were Carine Roitfeld, Lewis Hamilton, Anna Dello Russo and Stella‘s husband Alasdhair Willis. Janelle Monae strikes a fun pose at the Valentino Fall/Winter 2019/2020 fashion show as part of Paris Fashion Week on Sunday (March 3) in Paris, France. The 33-year-old singer and actress was joined by Riverdale‘s Lili Reinhart, 13 Reasons Why‘s Katherine Langford, and Pretty Little Liars: The Perfectionists’ Sofia Carson. Also in attendance were Alexa Chung, Nicky Hilton, and Olivia Palermo, with husband Johannes Hueble. The day before, Sofia and Olivia stepped out looking super chic for the Elie Saab fashion show. 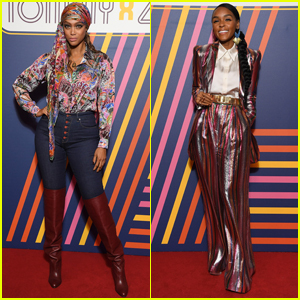 Also that day, Olivia and Janelle hit up the debut of the first Tommy Hilfiger x Zendaya collection. Tyra Banks and Janelle Monae strike a pose on the red carpet as they arrive at the Tommy x Zendaya Fashion Show on Saturday night (March 2) at the Theatre des Champs-Elysees in Paris, France. fashion collection during Paris Fashion Week. Other stars at the fashion show included Power actress Lala Anthony, model couple Olivia Palermo and Johannes Huebl, fashion editor Derek Blasberg, racer Lewis Hamilton, Idris Elba‘s fiancee Sabrina Dhowre, and shoe designer Christian Louboutin.